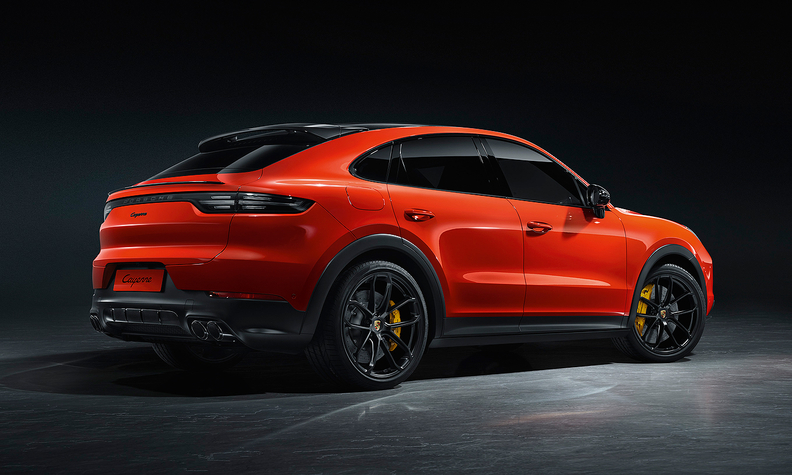 Porsche aims to reignite sales of the popular Cayenne crossover with a sportier coupe variant that will square off against the Mercedes-Benz GLE Coupe and the BMW X6. The German automaker hopes to lure the sport-ute crowd and boost profitability with what it refers to as the "sportiest-looking model in the segment." Porsche Chairman Oliver Blume, in a statement Thursday, calls the Cayenne Coupe "more progressive, athletic, and emotional." 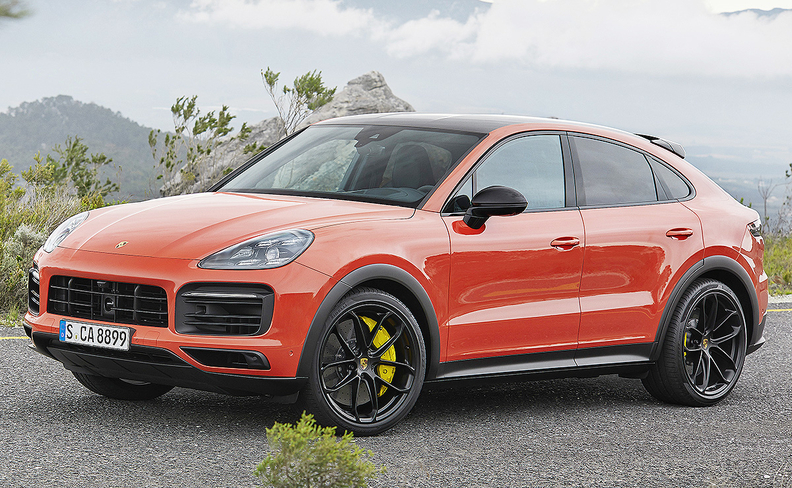 The Cayenne Coupe is expected in U.S. showrooms this fall. It will start at $76,550, including $1,250 for shipping. The Cayenne Turbo Coupe will start at $131,350, including shipping. Both Cayenne Coupe models are priced higher than the standard Cayenne. The Cayenne Coupe is a competitive response to similar coupe-crossovers from Audi, BMW, and Mercedes-Benz. BMW created the coupe-crossover segment with the X6. "These models have proven to be particularly popular in emerging luxury markets like China and the Middle East," said AutoPacific analyst Ed Kim. "Porsche clearly hopes to gain volume by introducing a model in a growing segment." The midsize Cayenne was Porsche's second best-selling model in the U.S. last year — behind the compact Macan — with sales 10,733 units. But U.S. sales of the Cayenne have dropped off since peaking at 18,507 in 2013, and Porsche faces more competition from new SUVs and crossovers from BMW, Audi, Mercedes, Jaguar, Land Rover and others. The Cayenne Coupe features sharper lines with a redesigned rear section, adaptive rear spoiler, individual rear seats and either a panoramic fixed glass roof fitted as standard or an optional carbon fiber roof. The rear doors and quarter panels have been redesigned to broaden the shoulders of the vehicle. The license plate bracket is now part of the bumper and makes the vehicle look like it sits lower to the ground. The Cayenne Coupe will be available with two high-performance engines. The standard model will feature a 3.0-liter mono-turbo V-6 engine capable of generating 335 hp and sprinting from 0-60 mph in 5.7 seconds. The top-of-the-range Cayenne Turbo Coupe is equipped with a 4.0-liter twin-turbo V-8, capable of 541 hp and a 0-to-60 mph acceleration time of 3.7 seconds.